Sea Witch Botanicals drifted through the threshold of my home via two separate friends at two different times within a few months of each other last year. One friend Jay sent me some incense and an unscented Hufflepuff bar soap and my other friend Julia gifted me three scented soaps. Everything I have tried has been exquisite. 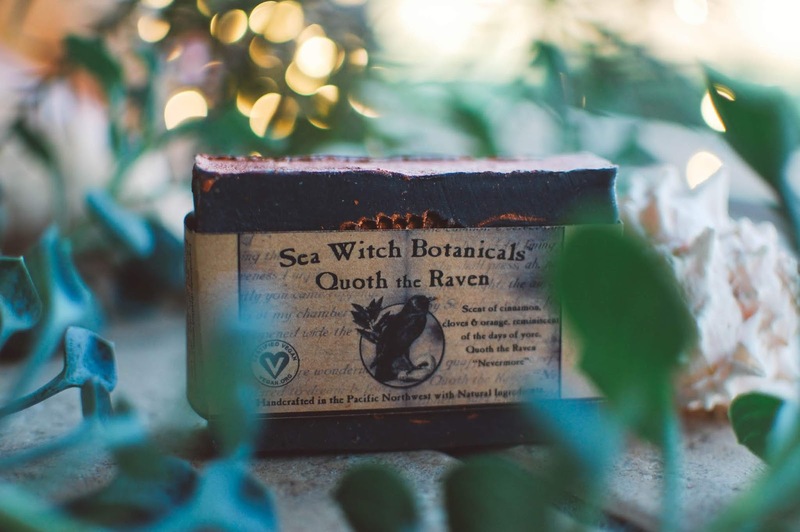 Sea Witch Botanicals utilizes only plant based, all-natural ingredients, their business practices meet high social and environmental standards and 1% of their revenue is donated to environmental conscious charities. Sea Witch products are organic, fair trade sourced and green as possible. 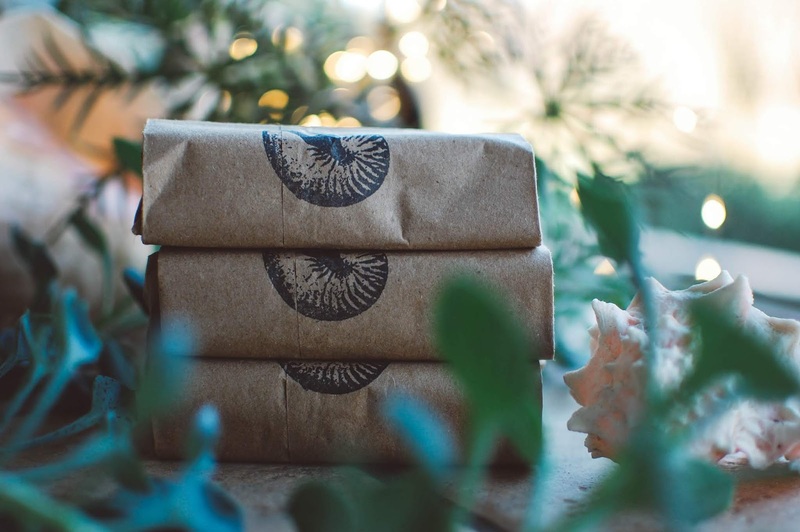 Each bar soap came wrapped in a hand stamped brown paper bag with a kraft paper label decorated with beautiful artwork. 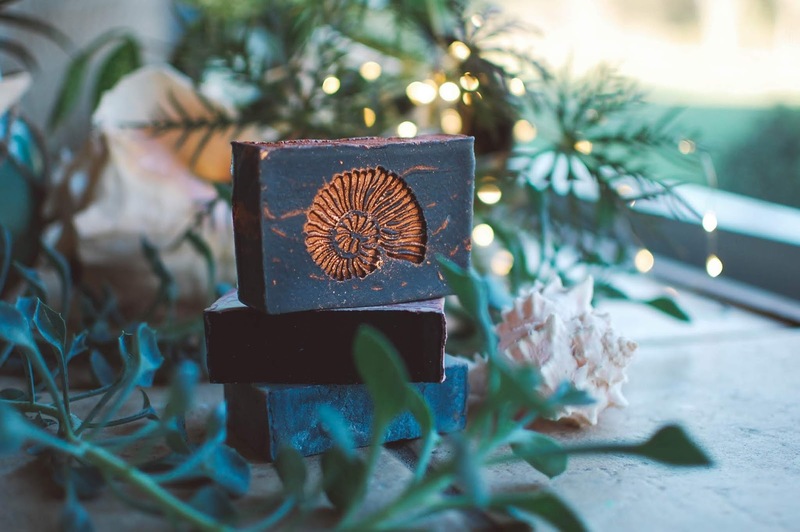 The tops of the soaps were dusted with mica or charcoal and hand stamped with a nautilus in the corresponding color. 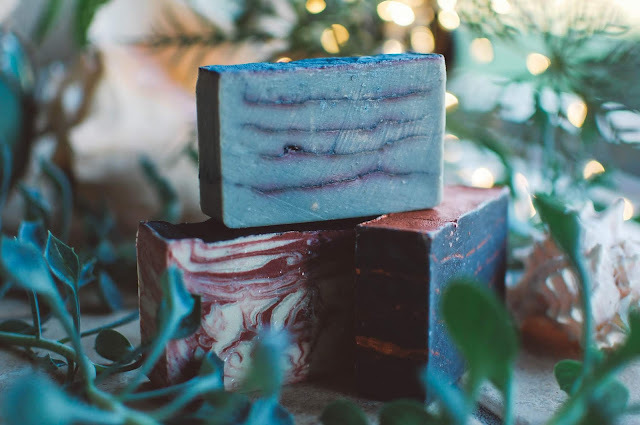 I enjoy the rustic and organic styling of these soaps. 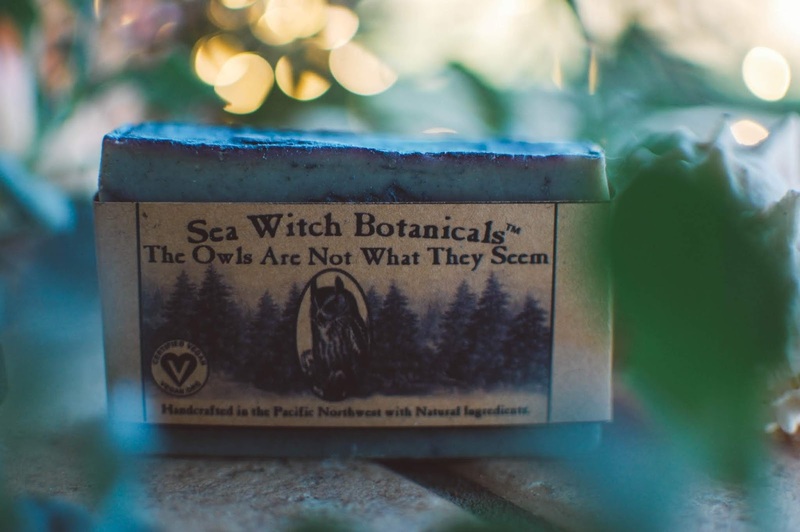 The Owls Are Not What They Seem ($12 for a 5 ounce bar) is packed with fir essential oils. I appreciate the Twin Peaks reference and the scent. The fir smells of the forest, bright and crisp with subtle undertones of earth and bark and needle. The aroma is rejuvenating, like bathing outdoors in a mountain stream under a pearl moon surrounded by protective evergreens. This soap lathers bountifully and exfoliates lightly. The texture reminds me of fine volcanic ash or river silt. It feels amazing on the skin. This is my new favorite bar of soap in my shower (and I have about a half dozen soap slivers in there right now that I love). Hermitage brims with sparkling citrus and orange oils and is grounded with a breath of natural patchouli herb. The citrus really lifts this scent and makes it an invigorating yet comforting blend. 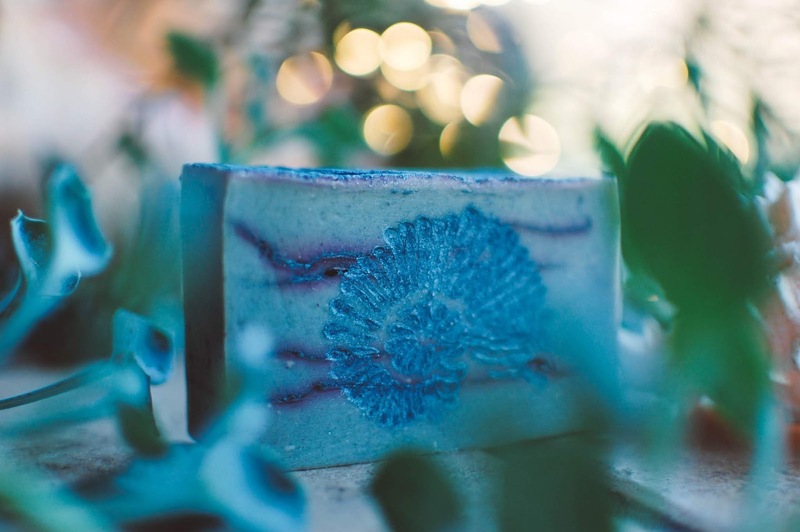 This soap is soft with clays and feels like I am lathering with a fat dew covered mushroom cap. Silken. Bubbling. Blissful. 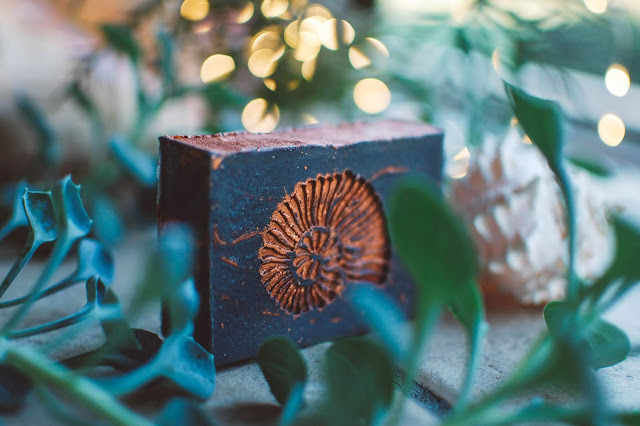 Quoth the Raven is generously scented with orange, clove and cinnamon oils and packed with activated charcoal. I love how deep and rich this one smells. It makes my whole shower bloom with the dreadfully cheerful scent of a spiced pomander. It's perfect. So is the Poe inspiration. You know how I feel about my Poe. This bar soap has a similar velvety smoothness as Hermitage. Plush and cushiony with abundant lather. This one is more intensely scented than Hermitage though if you are comparing the two. 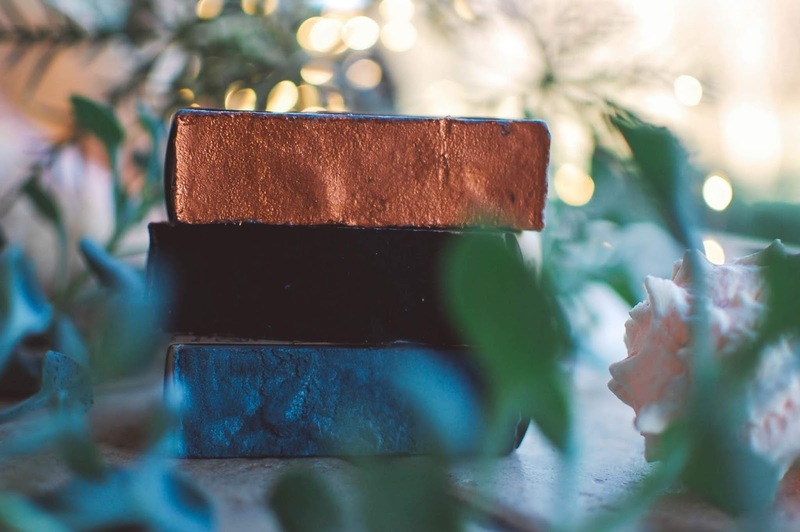 These soaps are a joy to bathe with. They rinse clean, leave my skin feeling its best and they give me peace of mind knowing they are Earth friendly. The price is worth the quality. I am already eyeing up the candles and more incense. 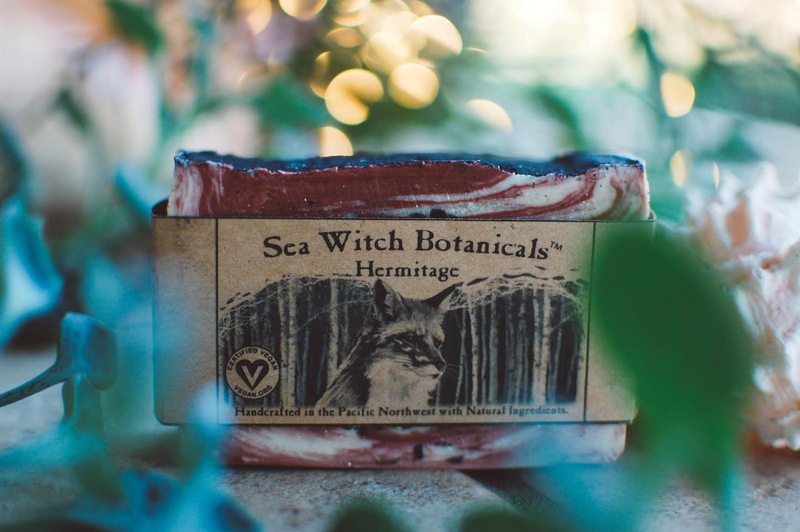 This won't be my last Sea Witch Botanicals post. 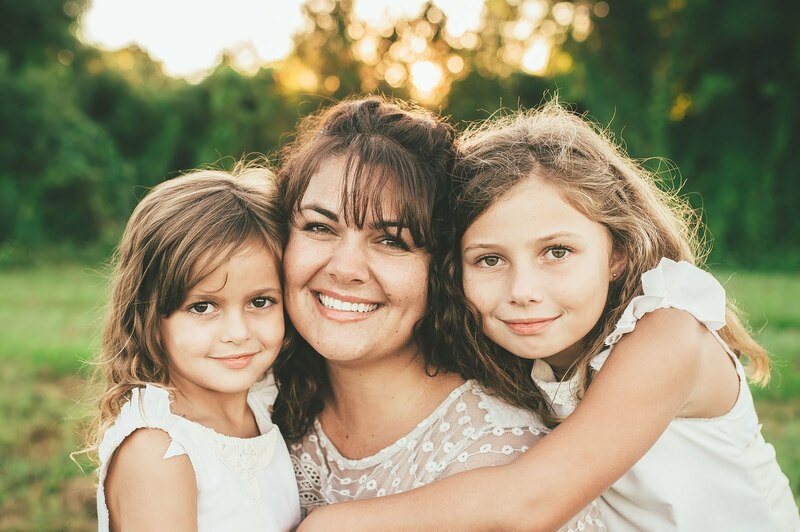 Do you have any environmentally friendly small business makers you love? What are you bathing with? Ooh, very nice!! 🌲 I was eyeing a candle by For Strange Women, whose branding always lures me in, but it's $80 so hard to justify when I'm not working. I see Sea Witch has candles too. They are in Washington state. Sounds like I would be right at home there with all the natural stuff. YES! I was eyeing that candle too and the Winter Kitty that was on sale too. Sadly, the prices were still way too steep for my liking and then I was wondering how "off" Winter Kitty was. I love the branding too but then I am never truly wowed when it arrives. I do love the November in the Deciduous Forest though and will probably get that one day. I thought of you when I was reading the flyer that came with the soaps that talked about the company. It is family run too by a wife, husband, mother-in-law trio at the head. I did end up picking up a candle. Looking forward to trying it out. Hope you are well! Have you transitioned yet? I am waiting on my home sale to be finalized, when I try contacting the buyer's lender or lawyer, I don't hear back(!). So last Friday I called the buyer's wife and she said they had just received paperwork from their lawyer and I would hear back soon. I will try calling all lawyers involved again soon. Sigh, will be relieved if this gets to the finish line. I just read last night Pitch Pine Pottery is making the same move I want to make, also with cats, so I will see if I can pick up any tips. I haven't made any plans while I wonder if the apartment will sell, but since I am most familiar with New Mexico of anywhere out west, it seems like a good choice given it will already be a big change. I am still nervous about it, but I am encouraged by others doing it. Oh my goodness... how frustrating!!! I am a little worried about the selling/buying process too. We have never actually sold a home since we built this one and it is our first. I hope the process gets moving for you smoothly and quickly. I saw that too!!! Maybe New Mexico is welcoming all the creative and gifted peoples and cute kitties. I pray this big change brings you lots of joy and growth in the direction you wish. It will be amazing. I just know it. It seems like a beautiful place to live. LOL! I cut my soaps into slivers and then use my soap caddy along with my shower caddy to lay them on so they stay dry. I also kinda cheat and have about six sliver by the bathtub on various soap dishes that keep them drained. But my husband and daughters use bar soap too so the slivers go quicker than I realize. I will have to pop into an Aerin and check that one out!! It sounds incredibly lovely. Amber musk... mmmmmmm. Thank you! I did have a nice day off. I ended up going to an oddity store and a book store with my girls and my sister. Then we got lunch in downtown Tampa. It was a very nice day. <3 Hope you are doing well!! These are beautiful! I like Valhalla and Zum Bar soaps or locally made products. Trying to cut down on the whipped soaps (which I love from both Solstice and Valhalla) because of packaging. I haven't bought from Valhalla in ages. I loved their wax! I don't think I ever really explored the body care line. That is a shame. I should go do that. Zum bars are really nice! I have enjoyed those too. I tend to like the whipped soaps for my shampooing. I guess the whipped soap containers are smaller than the traditional shampoo containers plus we recycle so that helps I suppose? I am trying to cut down on packaging too. Waaaaaaaay too much trash leaving our house. I like Solstice Scents whipped soap too. It is so silky. I tend to use FuturePrimitive's the most though. Have a nice week! These sound amazing! 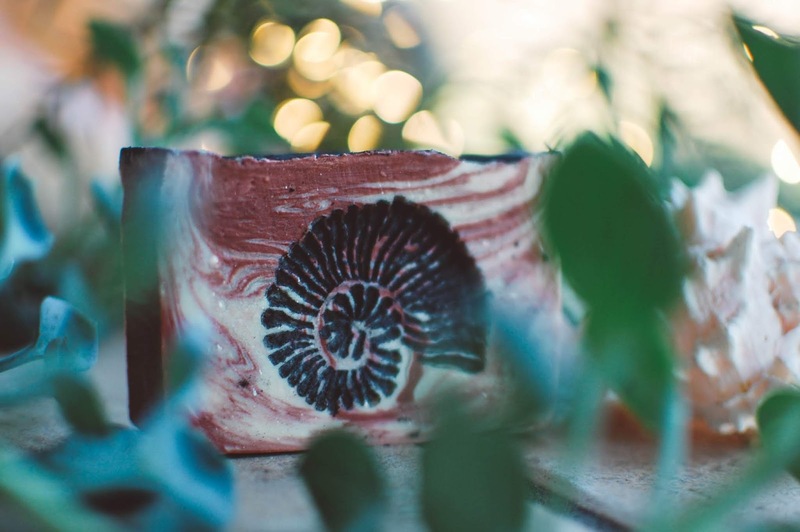 I'm obsessed with truly natural soaps. Thank you! That is very kind! I was feeling ho-hum about how to take these photos and decided to go to my happy place... the porch. It kinda fell into place after that. I am so happy to introduced me to this brand. I finally unwrapped my Hufflepuff badger... I am sure you can appreciate the fact I wanted to keep him whole and crystal clear forever. He actually lathers up and feels really great!! Thank you, thank you. The texture really is nice! Mmmmm... mushroom capsssss. I did break my wax no buy by getting a candle. But maybe I can forgive myself.